Single in Stilettos Show: What Attracts a Man? Singles in Stilettos Show: Are Men Intimidated By Independent Women? Single in Stilettos Show: How Do I Find Love and Balance My Career? 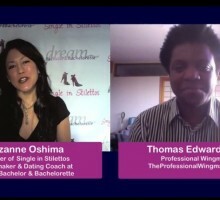 Single in Stilettos Show: Quick Fix Dating Tips Don’t Work! Single in Stilettos Show: Why Are Men Commitment Phobic?